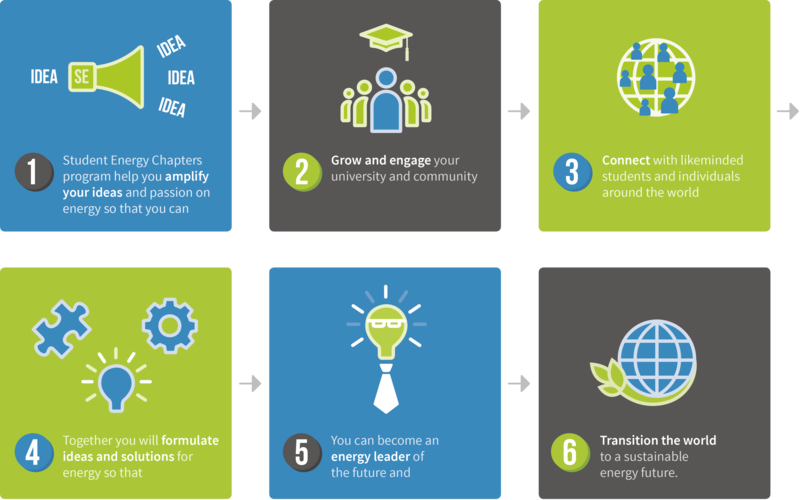 Student Energy Chapters are an opportunity for students to establish a branch of the organization on their university campus. Chapters allow students to leverage our global brand and organizational knowledge to take action on energy in their communities by facilitating energy debates, executing energy projects, or hosting regional summits. Plus, the Global Chapter Network is an incredible opportunity for students to connect to and work with their like-minded peers from around the world. This program is an incredible opportunity for students to make their voices heard, formulate opinions, and implement solutions. Student Energy Chapters are a vehicle to help these passionate youth transform into change agents who will make the visions of our sustainable energy future a reality.